Scotland coach Vern Cotter has handed out three Six Nations debuts to Finn Russell, Mark Bennett and Blair Cowan ahead of Saturday's match against France in Paris. The team shows just two changes from the team that saw off Tonga in November with Bennett and Euan Murray starting. The back five features four Glasgow players with Edinburgh's Tim Visser the fifth. "Seeing the passion and desire among our players in the build up to the tournament has been special," Cotter said. "The players really enjoy the atmosphere of these big occasions, and the pressure of having to perform for their country, in front of huge crowds. "They're looking forward to getting out there. France will be tough. 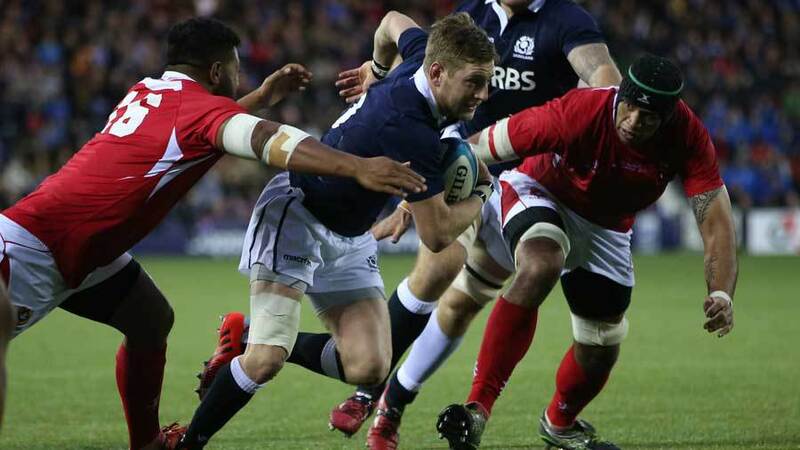 They played well in the autumn series but remain frustrated with past results in the Six Nations. They will be very difficult to contain so we'll have to stay tight as a unit, work hard for each other and try to apply some pressure. It'll be a very tough start to the championship, but we're looking forward to that challenge."